Many people like to jazz up their outfits with different kinds of accessories like buttons, pins, clips and brooches. Such accessories not only make you appear more fashionable and trendy but they also help you stand out in a crowd. For those who identify as atheists, buttons related to atheism can also serve an additional purpose of educating people about a subject that is highly misunderstood. But, does that make you wonder where you can find such innovative atheist buttons? Well, Atheist Republic has brought you an assorted collection of fabulous designs that can help you up your fashion quotient by several notches. 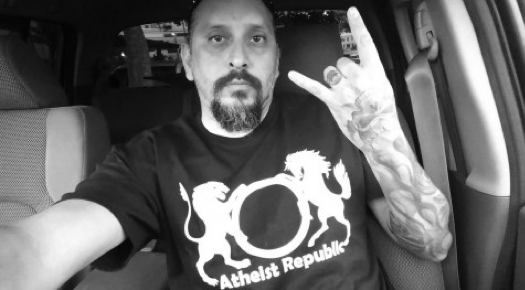 Imagine wearing a button that carries a symbol, phrase or logo related to atheism and interacting with individuals who identify themselves as believers. Your simple accessory could become a conversation starter and you could use that opportunity to tell the other person what atheism is all about. It is also likely that your button will land you in an unsolicited debate but a healthy conversation never hurt anyone! We believe once more people start wearing atheist buttons, less people will think of atheism as a taboo subject. This way, proud atheists will set a trend among young people, closeted atheists will muster the courage to come out and express themselves and devout believers will stop wrongfully associating atheists with forbidden acts and evil notions. At Atheist Republic, we have carefully chosen designs that will make you look stylish while making a statement. You can choose from our wide selection of buttons and brooches. In fact, you can also customize your very own. Feel free to pick different fonts and colours for the buttons that you like in our gallery and if you have ideas that we could incorporate, do not hesitate to share them with us!